All of us carry with us unconscious associations and biases that without us even knowing, are downloaded by our minds, from our peers, our environment and our experiences. The human social animal has a habit of creating biases and generalisations about people groups based on many characteristics, including racial ones. Studies have found that even among those of us who know that negative racial generalisations are useless or even wrong, we still subconsciously hold biased and negative associations. You can test your own negative association at implicit.harvard.edu. 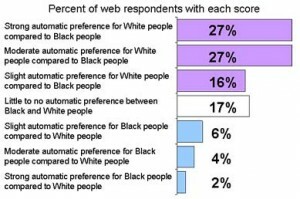 This test is not a racist detector – it is a very clever way of testing your negative and positive automatic (unconscious) associations on racial, gender and many other categories. Give it a go and see what unintentional bias you might have. If you don’t believe the result, it’s worth reading about the test to discover how it works and its scientific rigour. However, no matter what result you get, the tests show conclusively that most people (regardless of race) harbour unconscious racial prejudices whether we like it or not. These studies show that regardless of race, people in many parts of the world tend to have automatic negative associations with black people and dark skin tone. For example African-Americans often unconsciously hold similar prejudices against people of there own race as the unconcious prejudices held by “white” Americans. If you would like to read more try “The Hidden Brain,” a book by Shankar Vedantam. All of us working cross-culturally need to recognise that this prejudice will influence our own behaviours no matter who we are. Because these unconscious associations will influence or interactions with and reasoning about the Indigenous people we work with. It is very important that we recognise this. We need to be able to see the good and the bad in others, but unconscious racial prejudiced tends to blind us from the seeing the good others. Can we beat automatic negative associations?… No, but I believe we can build positive ones. Spend time in reflection to catch and challenge bad attitudes when we see them raise their ugly heads. We can challenge bad assumptions and attitudes by deliberately identifying useful positive generalisations that balance or subvert the negative generalisations we have identified in our thoughts and actions – and this will help balance the automatic bias.